Saturn is named after the Roman god of agriculture. 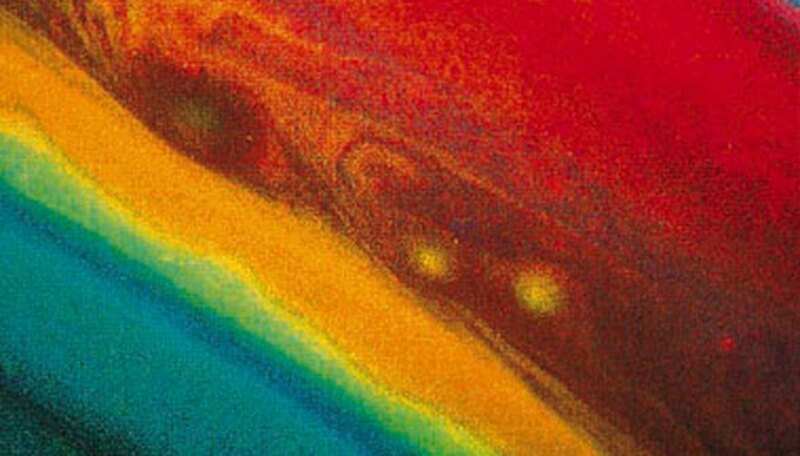 Scientists are always making new discoveries about this colorful gas giant. While other planets like Jupiter, Uranus and Neptune also have rings, none of them are quite as dazzling as Saturn's. 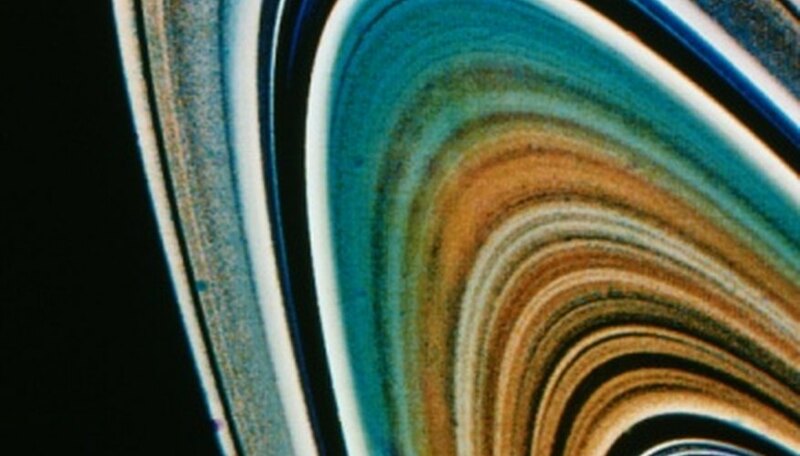 The planet and its rings don't fail to capture the imagination of children and astrophysicists alike. It is quite ordinary for planets in the solar system to have one moon, or several. What is extraordinary is the recent discovery made by NASA that Saturn's moon, Cassini, is connected to the planet by an electrical circuit. This electrical connection leaves an auroral footprint on Saturn's north pole. This footprint is created from the electrons that shoot down into Saturn's atmosphere from Cassini. There are three main rings that rotate around the planet. From the outer part of the ring system towards the planet, the main rings are simply labeled A, B and C. Several other minor rings have been discovered as well. The rings rotate at different speeds around the planet. The particles that make up the rings range in size, from tiny dust-like particles to some as large as mountains. The rings can be up to 3,200 feet thick, and span up to 175,000 miles. Saturn's rings are as enchanting as they are puzzling. 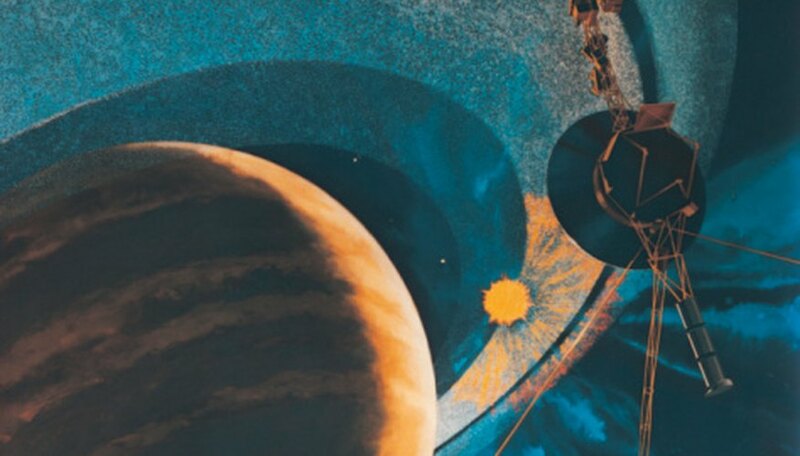 While the origin of the rings remains unclear, there are scientists who hypothesize that the rings were formed by collisions of fragments of moons and asteroids as they neared the planet. A day on Saturn is a quick one. In the time it takes the Earth to have one day, Saturn has had two and has started its third. It takes approximately 10.66 hours for Saturn to rotate once around its axis. Saturn is so large that the Earth could fit inside the space Saturn takes up 763 times. However, Saturn has only about 12 percent of Earth's density. Because Saturn is so much less dense than Earth, yet so much larger, a person who weighs 100 lbs. on Earth would weigh 107 pounds on Saturn. Not a huge difference when you consider Saturn has a circumference nearly 10 times larger than Earth's. 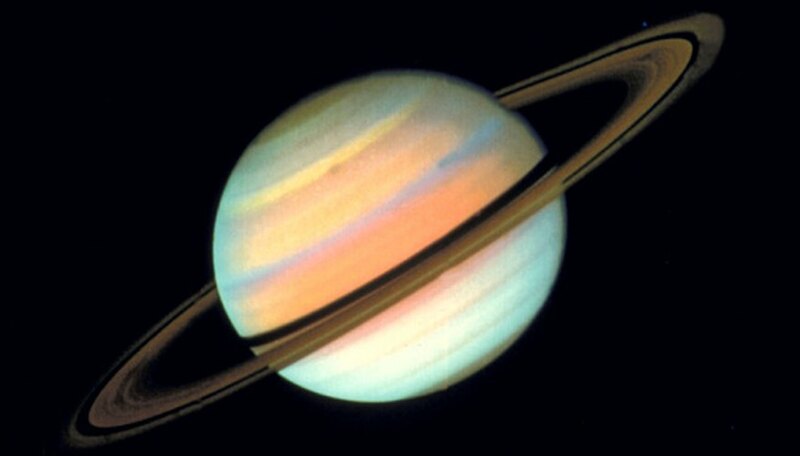 Saturn is mostly made of gas and it contains an atmosphere that would be very toxic to humans. The gases that make up the majority of Saturn's atmosphere are hydrogen and helium, while the atmosphere on Earth is mostly made of nitrogen and oxygen. If you were born on Saturn, you wouldn't have your first birthday until nearly 30 Earth years later. This is because Saturn revolves around the sun much more slowly than Earth, at about 32 percent of Earth's orbit velocity. Also, Saturn's orbit path is nearly 10 times larger than Earth's, so it has more distance to travel to complete its orbit around the sun. Saturn, and four other planets, are visible with the naked eye from the Earth. 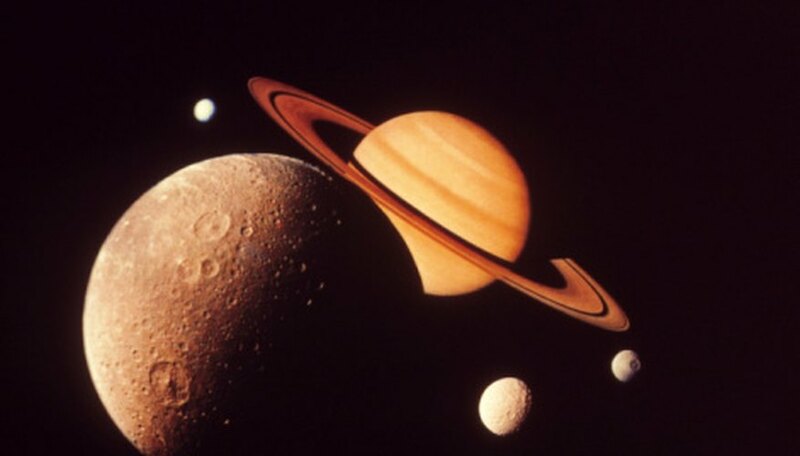 It would be impossible to say when Saturn was first discovered, as the ancients have known about the planet for thousands of years. However, Galileo Galilei was the first person to observe Saturn through a telescope in 1610. 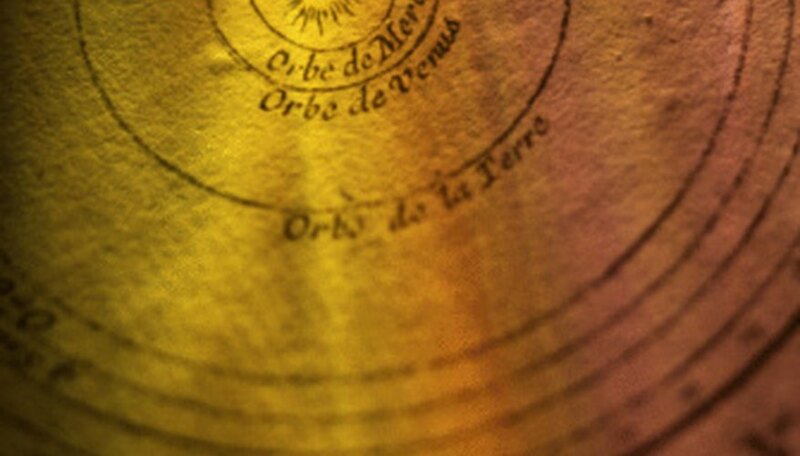 At the time he observed it, the telescope wasn't strong enough to pick up the rings, so he saw what appeared to be two ears or moons on either side of the planet. Larissa Hammond began writing professionally in 2006 as a staff writer for Heritage Web Solutions. Her work has appeared in publications including the brochure for the 2009 Lone Star Storytelling Festival in Frisco, Texas. She has a Bachelor of Arts in English from Brigham Young University and a Master of Library and Information Science from the University of North Texas. Hammond, Larissa. "8 Facts About Saturn." Sciencing, https://sciencing.com/8-saturn-8324694.html. 24 April 2017.